JEFFERSON, Thomas. Notes on the State of Virginia. 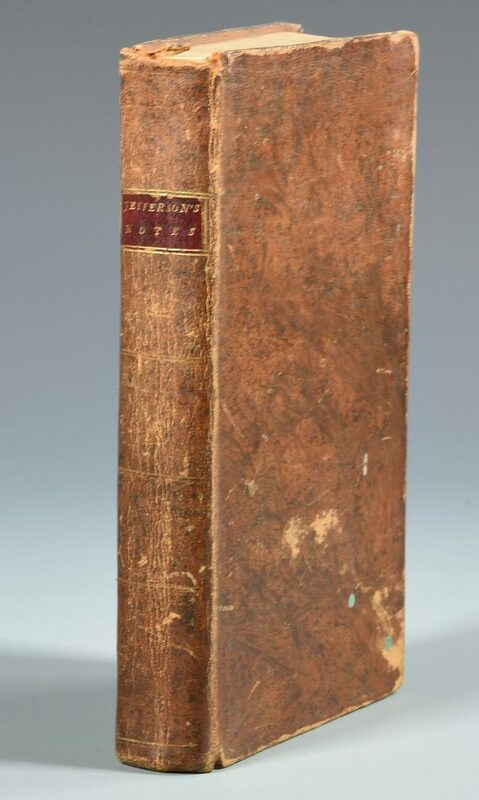 Philadelphia: Mathew Carey, 1794. 4 3/4" H X 8 1/4" W (Octavo). 336 Pages. 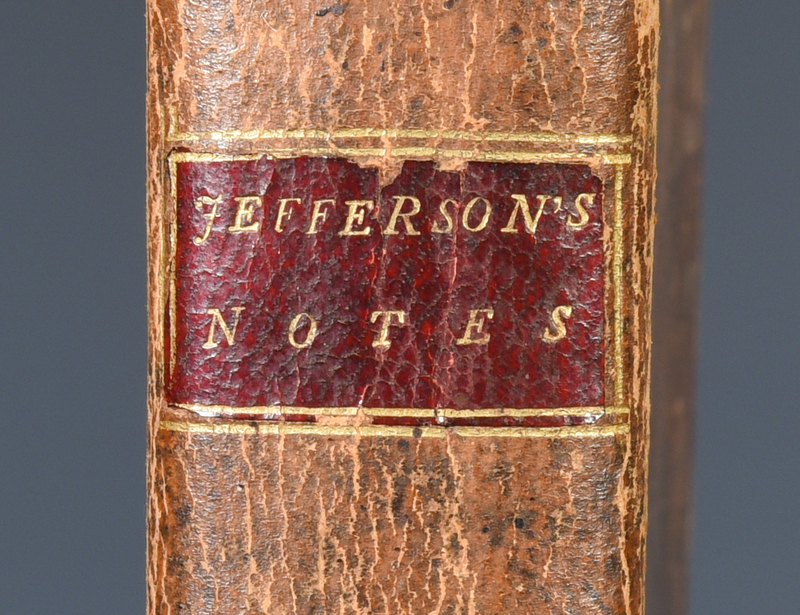 Second Edition (THE FIRST AUTHORIZED EDITION) of Jefferson's only full-length book. 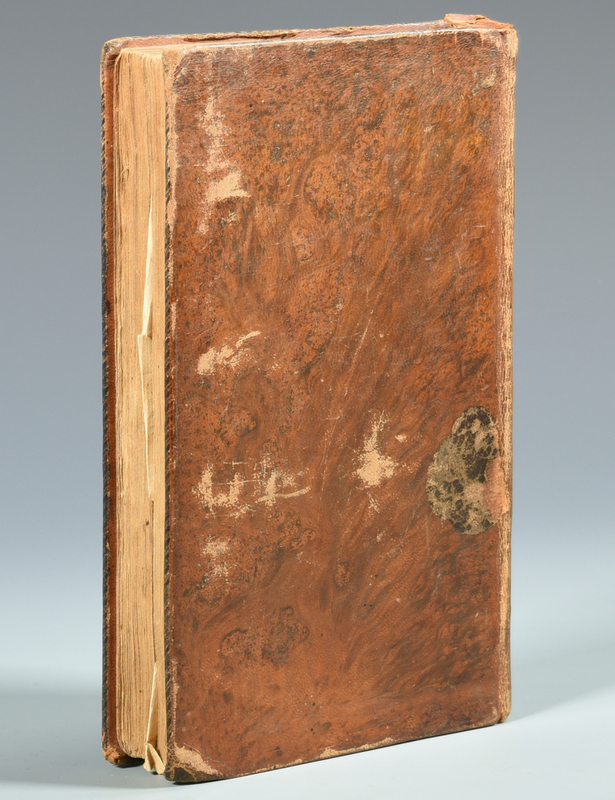 Original period treerain leather with red leather spine label. 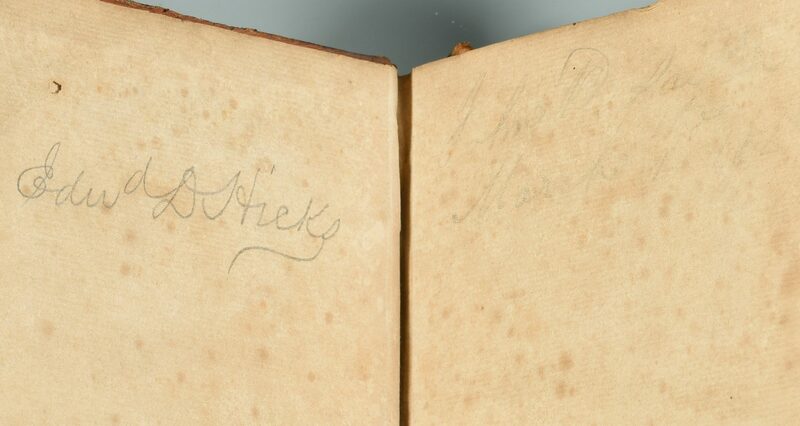 Previous owner signature of Edward Hicks of Devon Farm, Tennessee (1831-1894) to front pastedown in pencil. 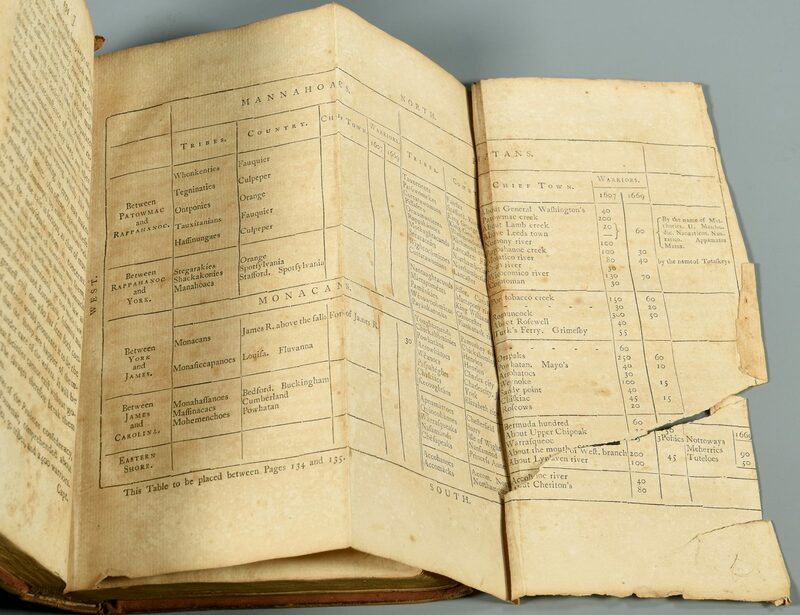 Lacks the folding map, but all other plates and illustrations intact. 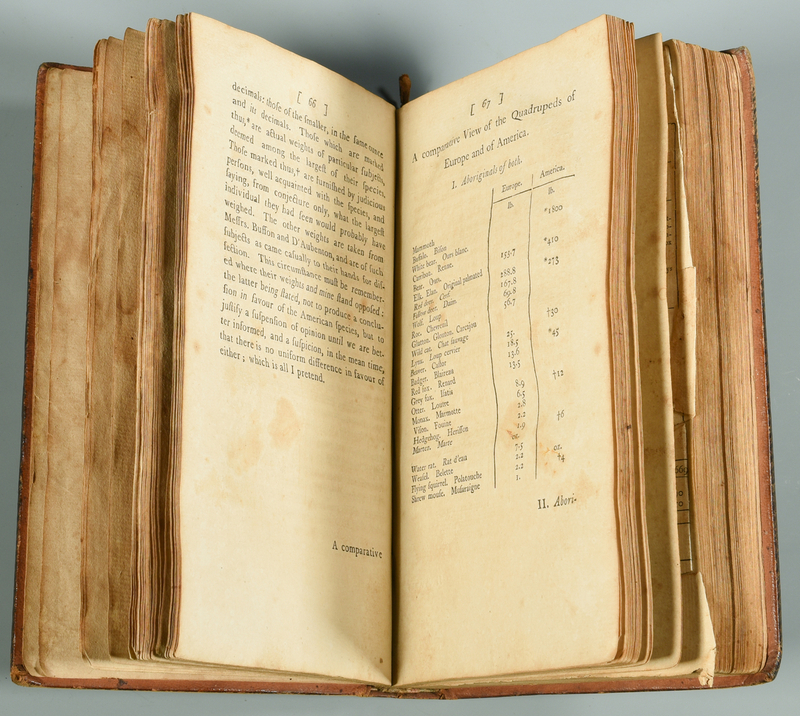 Widely considered the most significant book printed in America in the 18th Century. 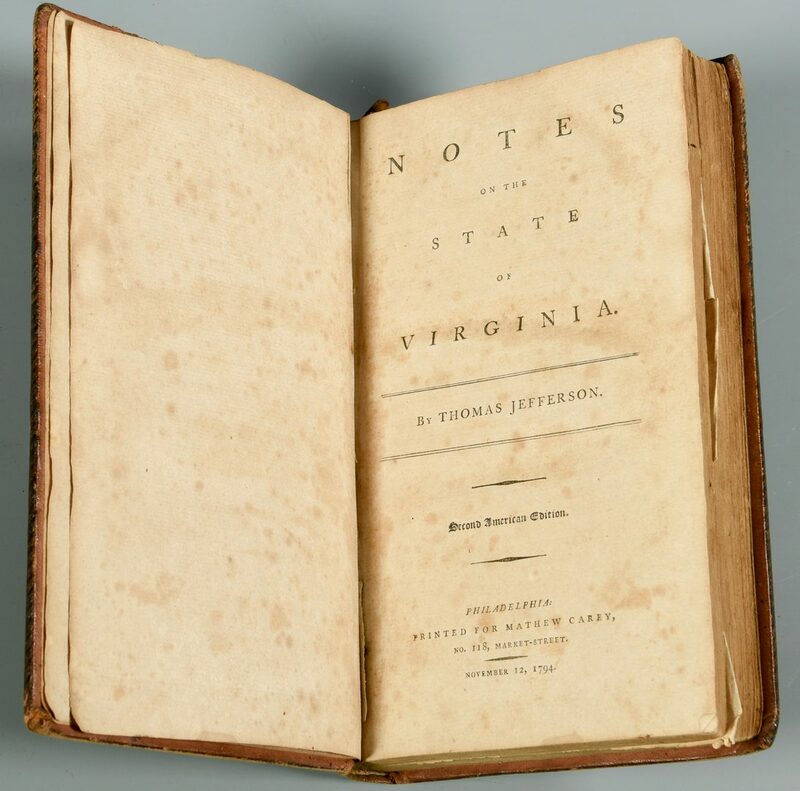 Jefferson's Notes on the State of Virginia was originally composed as a response to questions from a French diplomat. The book is a historical and statistical account of Virginia, but also provides much insight to the mind of one of America's most beloved Founding Fathers. Thomas Jefferson's views on religion, politics, natural history and slavery inadvertently established his reputation abroad as a serious scientist, thinker and a man who was a spokesman for his country. Although he never openly submitted his ideas of emancipating the slaves and returning them to a more permanent land in Congress, he did pen such ideas in this book. 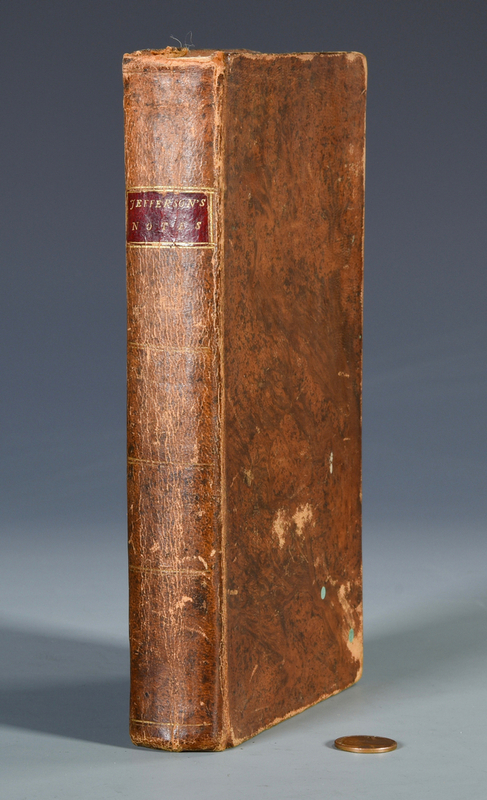 Note: the 1794 Carey Edition was the first authorized printing. Provenance: the estate of Sarah Hunter Hicks Green, formerly of Historic Devon Farm, Nashville, Tennessee. CONDITION: Large fold-out chart at page 134 complete, but torn at bottom right corner. Light foxing and toning to interior. Scuffing to outer boards. Well preserved overall.